Can You Write a Great Radio Ad for This Restaurant? Whether you're in an advertising or marketing agency, or you are the owner of your own business looking to promote yourself, it is helpful to test yourself with ​copywriting exercises. These Copywriting exercises help you become a better copywriter, no matter what your advertising experience level. This copywriting exercise helps you to write a restaurant's commercial. Please note: The content in this copywriting exercise is entirely fictional. Any resemblance to actual products, scenarios, people or companies is purely coincidental. You should know that radio advertising is tough. Very tough. It is often considered the red-headed stepchild of the advertising industry. Even now with web banners, Google ads, and other small tasks to do, radio is still one of those disciplines that can scare creatives both young and old. So, before you dive into the following exercise, make sure you know the medium well. It won't be difficult to find radio ads; they are everywhere on commercial radio. However, GOOD radio ads are much harder to find. Here are a few places to start for inspiration. You should also remember that radio is a medium that inspires people to use their imaginations. 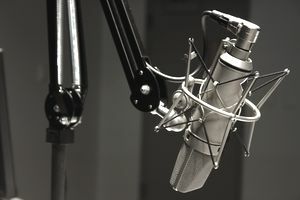 A great comment heard in many agencies is "you have an unlimited visual budget" when you write a radio ad. Tell people they're going to the moon in a rocket ship shaped like a giant basketball. You never have to build it, merely suggest it with copy and sound effect. So, keep that in mind when you write. Think big, and you can go big. The primary audience is families with children. The restaurant also has an established clientele of older folks who used to bring their own children to Spencer's. Spencer's has bought ad time during the 5-7 p.m. drive home. Radio spots will air during this time to entice families to skip dinner at home but still have a home cooked meal at the restaurant. Parents on the go can come to the new drive-through window they've named Spencer's Express. Children under 12 always eat free when dining at the restaurant. Fridays are all you can eat buffet style from 7 p.m. to 9 p.m. And with the new drive-through window comes another new deal - order any two adult meals, you get a free dessert. Spencer's has been losing money during the week because families are opting for cheaper, quicker fast food chains instead. The restaurant's owners want customers to look at Spencer's as an option. They have a new drive-through window, and all meals are prepared from scratch just like you would make at your home. ​It is not fast food; it's good food fast. Two ads will air during the 5-7 p.m. time slot so Spencer's would like two different versions of ads playing off of each other. However, each ad should stand on its own in case the listener only hears one. Spencer's guarantees fresh food to you within 5 minutes of ordering, or it's free. It is a local restaurant with only one location. Spencer's has a distinguishable dollhouse look to it. It is known for its unique appearance. Located at 151 Goode Street. Spencer's was established in 1974 by the Spencer family. They are a family-owned and operated business. All meals are prepared from scratch. Sample items on the menu include country fried steak, meatloaf, roast beef, fish and the most popular menu item, "MaMa's Famous Chicken Casserole Surprise." This information is provided to help you write the advertising material. You can use, or not use, all of these points at your own discretion.